Having visited home a few weekends ago for the Fireshow, Matt and I decided to pay a very overdue visit to his friend’s new restaurant – Quarter Lounge. 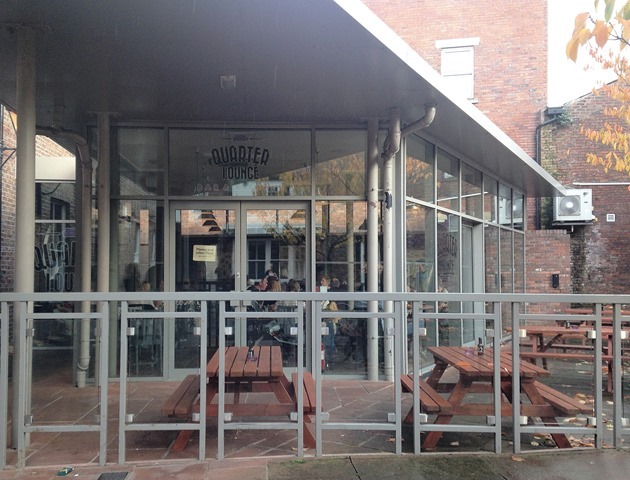 Hidden away in the centre of Carlisle is this new and exciting eatery. Owned by James Hill; the man also behind Bijou (which is just across the road), this restaurant is perfect for lazy weekends catching up with friends over great grub. 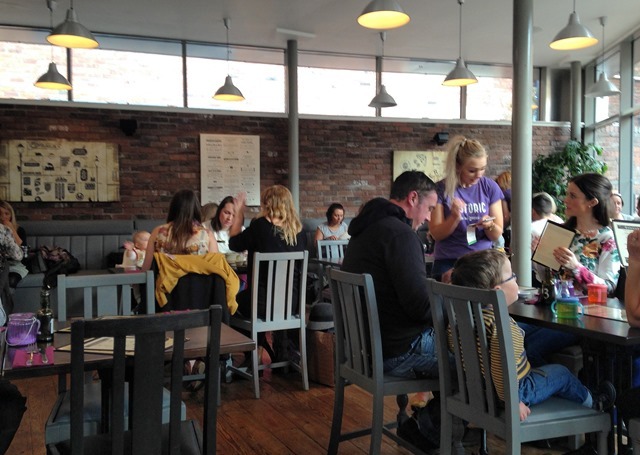 We popped in on the Saturday afternoon and I can tell you now – you might want to make a booking as it was very busy. We thankfully managed to snap up the last table of two after having a few drinks with James in the Bar. The Quarter Lounge isn’t the largest however come the summer months the tables outside probably nearly double the covers that it can serve. However the interior is stylish, relaxed and cosy. The bar is filled with comfy leather couches and low level tables and the restaurant is bright (thanks to the glass walls) and buzzing. We enjoyed a drink with James and he told us how he wanted to open somewhere that offered great quality food like Bijou but was informal and bustling. Since opening a few months ago it has a great buzz about it and proven to be popular with all kinds within the city. We headed to our table in the corner and sipped on our drinks while perusing through the menu. I was tempted by one of the fabulous sounding cocktails but instead stuck with my staple glass of Processo. The menu is filled with hearty dishes straight from the grill. There’s a number of “Grazing dishes” – popcorn chicken, cheese on toast and bourbon belly pork bites, some amazing sounding sandwiches, steaks and lots of belly pork. However we both chose from the burger menu! 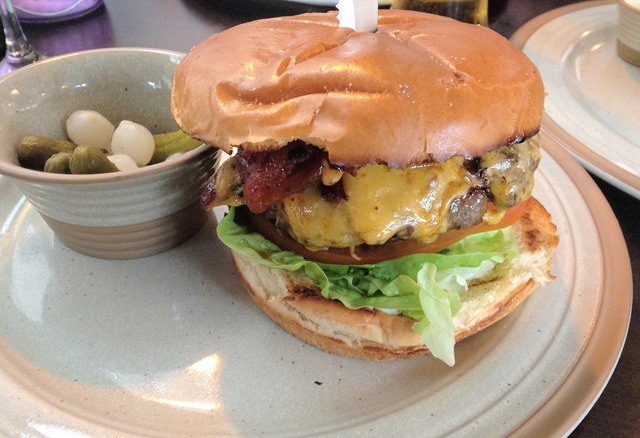 The Burger Menu has a number of burgers with an array of toppings from cheese to beef chilli. There were far too many that we liked the sound of so decided to choose two and half them. 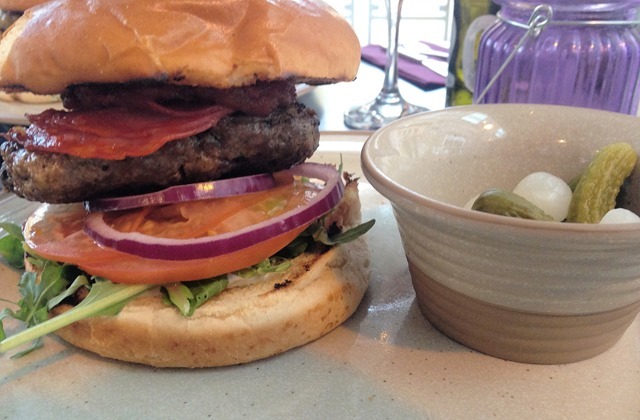 We went for the Bourbon Burger – topped with Maple Bacon, Mature Cheddar, Lettuce, Tomato, Red Onion and Bourbon Sauce and the Chorizo – topped with Chorizo, Tomato Relish, Paprika, Rocket, Tomato and Red Onion. 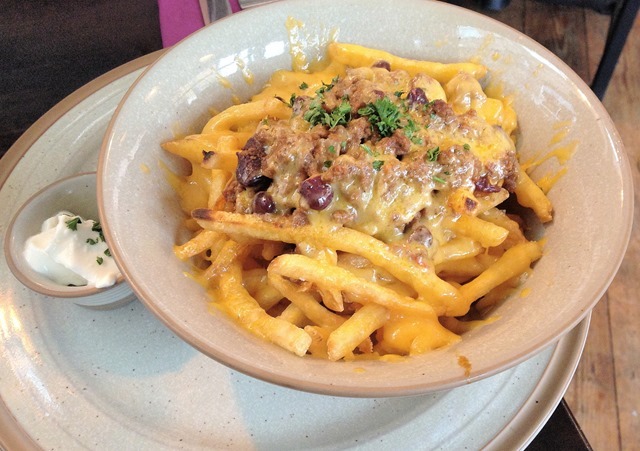 For our side we went for the insane Chilli Cheese Fries! Our food arrived in good time and we were in awe when it was placed on our table. 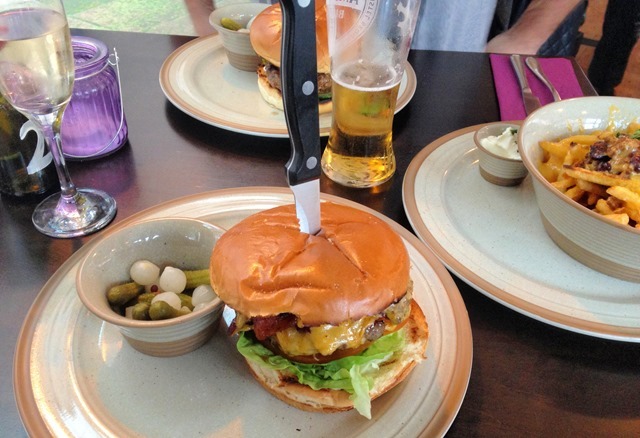 The burgers were pilled high and the chilli cheese fries – well the photo says it all! The maple bacon on the Bourbon burger is genius – the tastiest bacon I’ve tasted and the sauce was smoky and sweet. The Chorizo burger was crammed full of chorizo and paprika. The burgers themselves were fantastic quality, cooked beautifully and very juicy and flavourful. The Chilli Cheese Fries were incredible and disappeared very quickly – I’m pretty sure Matt budged them onto his side of the table! We both enjoyed our meal very much and it was clean plates all around! I think we’re already planning our next visit and I think this is going to become a favourite of ours within Carlisle. Have you visited the Quarter Lounge yet? What were your thoughts? Is there anywhere else in Carlisle or Cumbria you would recommend? Manchester Christmas Market 2014 is Open! I love Burgers, they are my favourite food – this looks absolutely incredible and my mouth is watering just looking at your pictures!